Parents have cautiously welcomed news that a Birmingham academy, thrown into chaos after the collapse of its sponsor, is on the brink of finding new financial backers. 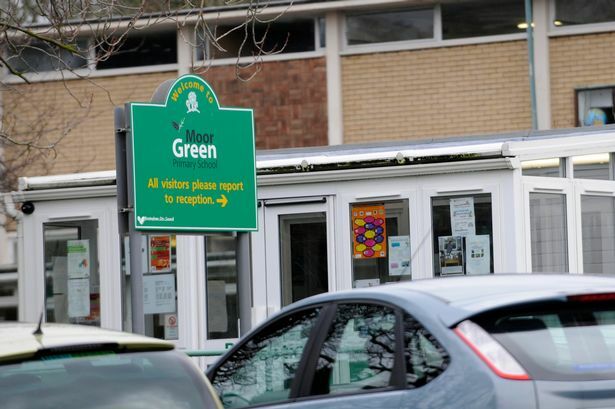 Parents at Moor Green Primary School, in Moseley, Birmingham, were angered when the academy was placed into special measures following a damning report by Ofsted in November. But they were hit with a further blow when they were told just two weeks later the two trusts which manage and sponsored the academy had collapsed – throwing the future of the school into question. However, the school’s board of governors has now pledged that a new sponsor will be in place by the end of January. Chairman David Bagley said: “We have had a visit from officials at the Department for Education, who have recommended two sponsors for the school. “We are inviting those sponsors into the school on January 15 and will then meet as a governing body to decide which would be the best for our pupils. Reacting to the news, one parent who did not wish to be identified, said: “I think we would cautiously welcome this news. “While it is good that efforts are being made to find a new sponsor, it is still a very unsettling time for pupils and staff. The school was the first in the country to be sponsored by HTI Education Trust, chaired by former education minister Lord Jim Knight. However, Lord Knight revealed last month that the trust had folded. And when a new sponsor is found, HTI Multi Academy Trust – the sister organisation which currently manages the school – will also close. It comes after charity Heads, Teachers and Industry (HTI), which set up the two trusts in January last year, changed its name to HTI Realisations in August 2013. HTI Realisations went into administration in July this year and records from Companies House show it had debts of more than £546,000. Lord Knight said he had been barred from having any involvement in selecting a new sponsor for the school. It comes after he apologised to parents last month for the failure of HTI Education Trust, adding: “We are very disappointed that circumstances prevented us to grow quickly enough to a viable size. A Department for Education spokesman added: “We are currently working with HTI Education Trust to secure the future of Moor Green Primary. “We are making sure that pupils’ education is not affected as we speak to potential new sponsors.